Appeal could be heard as early as next month, says lawyer. Koh Yi Na. Starting from today (9 Dec), The Online Citizen will have exclusive coverage the United Nations Climate Change Conference (COP15) which is being held in Copenhagen, Denmark. The reports are by members of ECO Singapore, writing exclusively for The Online Citizen. Climate Change articles will be listed under TOC International. Yong’s lawyer also urges moratorium for mandatory death penalty in Singapore until the outcome of the appeal is decided. 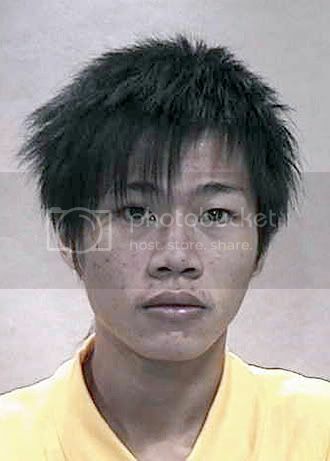 In a surprise decision, the Court of Appeal has granted Yong Vui Kong, who faces execution for a drug trafficking conviction, an opportunity to have his appeal heard. Following an hour-long hearing on Tuesday morning, the judges nullified his previous withdrawal of appeal and accepted Yong’s application for an extension of time. This would allow him to file an appeal against his conviction and death sentence. Yong’s lawyer, Ravi Madasamy, had initially been pessimistic about securing the extension of time, given the nature of previous decisions and his own experience with capital cases. While he knew “the present judiciary is forward-looking”, he did not know how the Court would react to his arguments. Therefore when the judge ruled in favour of hearing the appeal, he was pleasantly surprised, describing it as a “fantastic outcome”. No date has been set for the appeal hearing, but it could be as early as next month, according to Mr Ravi. He has been informed by the registrar to go to court this Friday to set a date for it. His execution is stayed pending the outcome of this appeal. Tuesday’s hearing had been made possible by the High Court’s decision to stay Yong’s execution last week. The 21-year-old Malaysian, found guilty last November of trafficking 47g of heroin, had been due to hang last Friday. But the High Court granted Yong a temporary reprieve last Wednesday, ruling that his execution be put off until his application for an extension of time could be heard by the Court of Appeal. This application was presented before a packed courtroom filled with reporters, law students, and members of the public. Some people were barred from getting in as the viewing gallery was already full. Yong was dressed in an orange polo T-shirt with a grey sweater. He appeared apprehensive at the beginning of the court session, but became more at ease when bantering with a pair of police escorts sitting next to him. Throughout the hearing, a translator in front of Yong narrated the court proceedings to him in Chinese. He leaned forward and listened intently, grabbing on to every syllable. Mr Ravi told Chief Justice Chan Sek Keong, Justice V K Rajah and Justice Andrew Phang that the basis of the application was that Yong’s earlier withdrawal of his appeal was invalid as he was under “delusion”, and should therefore be nullified. Having been imprisoned and isolated for 20 months, Yong had “become hopelessly confused” about the nature of his appeal, argued Mr Ravi. As a result, Yong confused “notions of legal reasoning and argument with issues of morality and spiritual devotion”, believing that it was necessary for him to lie in order to maintain his appeal. Mr Ravi cited a letter which Yong wrote to instruct his previous counsel Kelvin Lim to withdraw his appeal. In the letter, Yong had said: “I made this decision because I have come to embrace Buddhism whilst serving sentence and realised that I must not lie and to own up to what I had done”. Deputy public prosecutor Jaswant Singh, representing the prosecution, contended that the Court of Appeal had no jurisdiction over the case. Since Yong’s appeal had technically been dismissed upon its withdrawal and the clemency process through the President completed, he argued that it was beyond the Court’s powers to hear Yong’s application. He also claimed that Justice Woo’s decision to grant a stay of execution last week was “wrong in law”. The judges disagreed, stating that they had jurisdiction over the case. Responding to DPP Singh, Justice Phang stated that the key issue was whether “the case had run its full course, given the merits of the case had not been heard by the Court”, and that the timing of clemency process, be it conducted before or after the appeal is heard, is irrelevant. After a half-hour long adjournment, the Chief Justice Chan announced that the Court was satisfied that it did have jurisdiction based on provisions in the Supreme over Yong’s case and accepted that Yong had withdrawn his appeal under “misapprehension”. He based his judgement on provisions in the Supreme Court of Judicature Act. Yong’s family was jubilant after the judgment, as it grants Yong at least an additional month before the Court hears his appeal. Although Yong’s mother was unable to attend, five of his siblings, his aunt and cousins were present. Yong’s older brother Yun Leong, 24, told The Online Citizen that their mother was still unaware of Yong’s death sentence, and only knew that he was imprisoned for drug offences in Singapore. According to him, when Yong met his mother last Wednesday afternoon at Changi Prison, he told her that he has to spend time with the monks in prison to do penance for his sins. As a result, they will never get to see each other again. In this way, the family will continue to keep Yong’s mother in the dark regarding Yong’s death sentence. Visibly relieved after the hearing, Mr Ravi told The Online Citizen that this outcome may bear greater legal significance with regards to the mandatory death penalty. If the appeal succeeds, it could have significant repercussions on the Singapore legal system. This is because Mr Ravi will be basing his appeal on the grounds that capital punishment is incompatible with the Singapore Constitution, as well as international legal norms against the death penalty. As a result, current prison inmates on death row could be unconstitutionally executed before the appeal is heard. As such, he is urging the Law Society as well as lawyers with clients currently on death row to push for the moratorium as “lives are at stake”. Nevertheless, the lawyer added that only the President and the state have the authority to authorise such a ban.